At your last duty station, the house was too small. There wasn’t enough room for the kids and dogs to play, let alone store all of the military gear. It’s time to take advantage of the little bit of freedom the military gives you during a PCS. Pick a home with square footage to spare! There is ample room to spread out near Nellis Air Force Base, Nevada, particularly in Las Vegas. 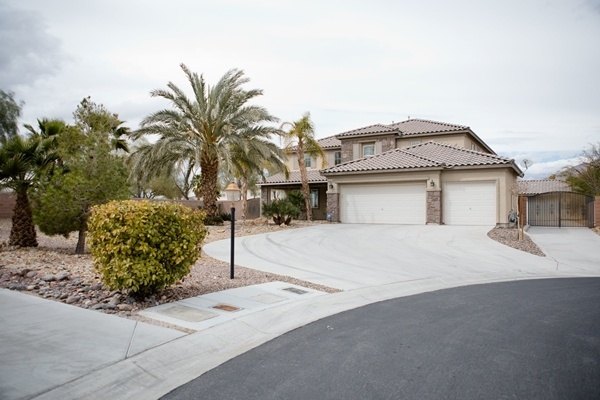 No, not on the rowdy 24-hour strip that never sleeps, but further away (but still convenient to Nellis) where the homes are lovely and four or five bedrooms are easy to find. Want the best of move-in-ready and the opportunity to customize you next home at the same time? 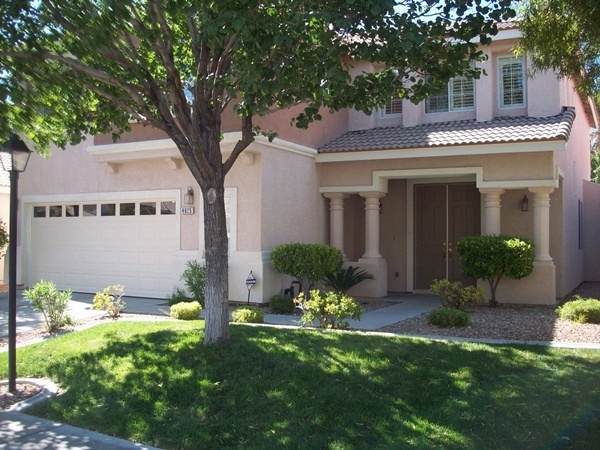 This pristine, clean home shows with neutral paint, carpet, and desirable finishings. Moving into more than 3,500 square feet is a breeze because all of your personal items will easily configure. The added bonus to the move-in ready feature is the option to slowly tailor the home to your preferences. No need for renovations before moving day, just simply add your personal touches as your budget and time allow. Plenty of sunlight travels throughout the spacious rooms inside. The bright and airy feeling is supplied by the entry's soaring ceilings and the abundance of windows in the house. 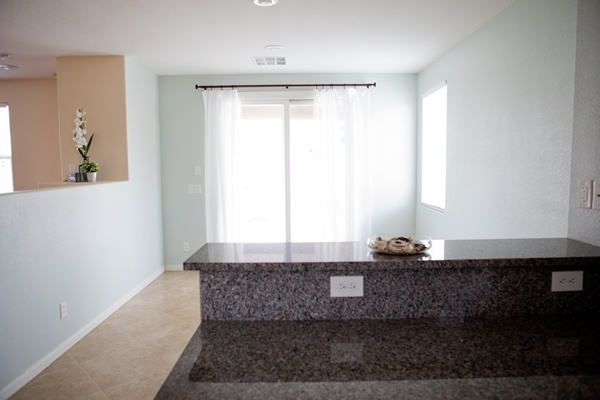 In addition to granite counter tops and hardwood floors, the house is outfitted with the specific comforts needed for living in the Nevada desert: a house humidifier and water softener and filtration systems. If four bedrooms suits your family’s needs, then read on, because this highly desirable rental home is available now. Plenty of extra entertaining space is waiting to be used for intimate and large gatherings, thanks to the enviable outdoor area in the back. A sparkling pool and relaxing hot tub are safely gated for your family and friends to enjoy. The customized patio and its cover provide enjoyment throughout the four seasons. It’s not often that a rental home offers its tenants a master bath with a whirlpool tub, walk-in in shower, and dual vanities. No need to ‘make do’ with the lack of upgrades here or in the kitchen, because both have custom tile work to appreciate. More amenities include stainless steel appliances, plantation shutters throughout the house, ceiling fans, and multiple options for built-in storage. Speaking of storage, an attached three-car garage is available to house more than just cars. Worry less while living in this gated community. Short walks to local parks and schools are part of life here, but the stores and restaurants that make life easy are just a mile away for your convenience. This rental is virtually maintenance free. Your rent pays for HOA fees, pest control, landscaping, pool maintenance, sewer fees, and trash collection. Plus, a property manager handles any issues that may occur during your lease term. Take advantage of MilitaryByOwner’s search features to find exactly the number of bedrooms and/or the square footage of the property you choose to call home next. Or, use other limiters such as sale price or pet policy. 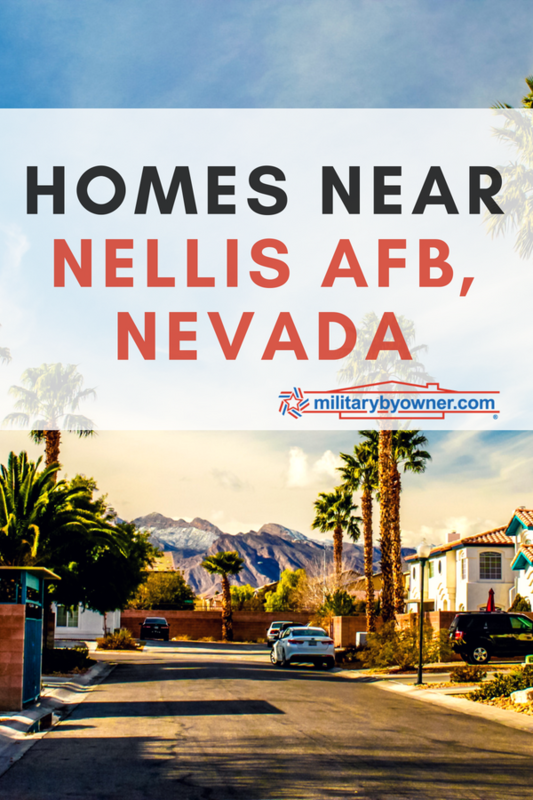 These will help you narrow down the plentiful options near Nellis AFB!